In Europe there are swamp-like lands called peat bogs, made up of dense vegetation that has been decaying for thousands of years. It is from these marshes that strange, petrified bodies have been turning up. 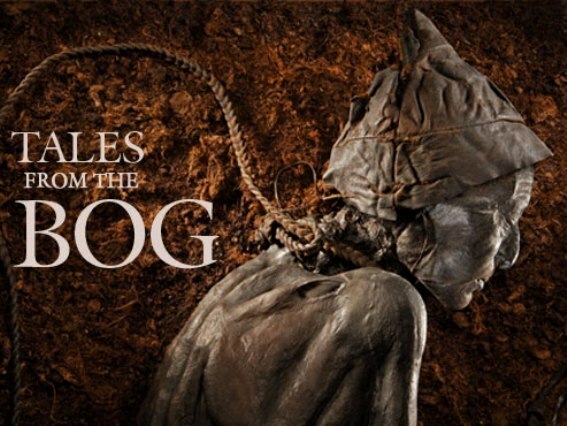 Called "The Bog People," they are among the most perfectly preserved bodies in the world. 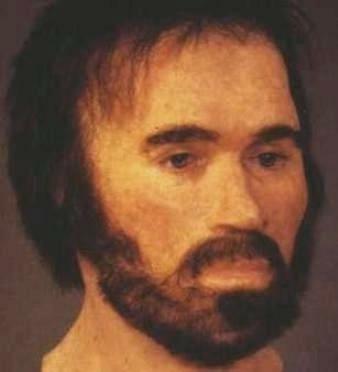 Scientists have estimated the age of these bodies to be over 2,000 years. 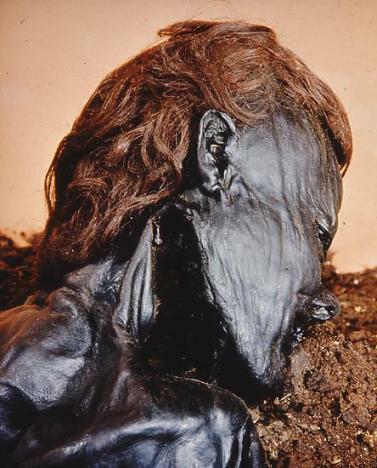 Acids found in the peat have preserved the Bog People down to the last detail; even their clothes, but it turned their skin dark and their hair orange. Quite possibly this was how executed or even murdered people were disposed of, due to the inordernate amount of bodies found with hangman's nooses around their necks. 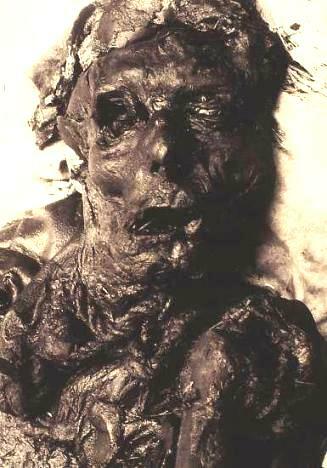 One of the most famous bog mummy is the Tollund Man, discovered on May 6th, 1950. 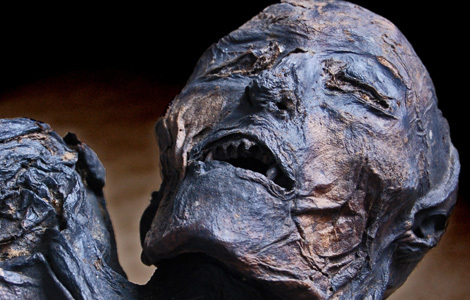 The Tollund Man wearing a hat is pictured at the very top header of this page (and also first photo to the left), and he lived during the first part of the Iron Age, called the Celtic Iron Age or the pre- Roman Iron Age (5th century BC - 1st century BC). 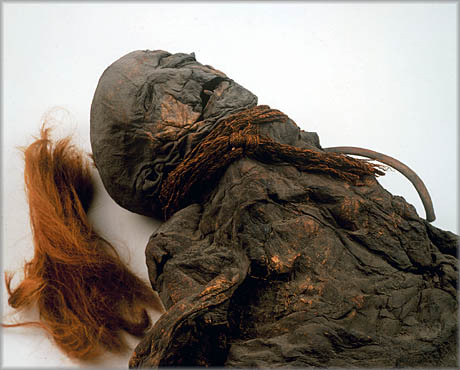 The Tollund Man is probably the most well-preserved body from the bogs. The head was almost shockingly well- preserved. The eyes were closed and so was the mouth; the look on his face was calm and solemn as if he was just sleeping, but he had been murdered: hanged. The rope is still around his neck, after all these centuries. 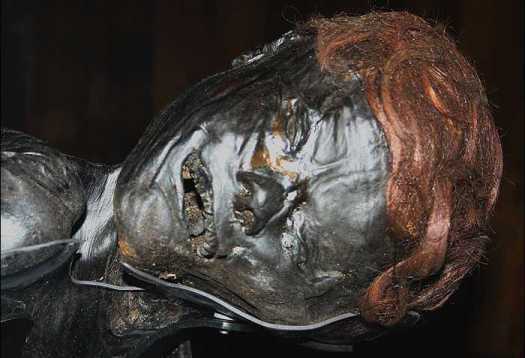 Only 80 meters from the place where the Tollund Man was discovered, the body of Elling Woman (an approximately 24-year-old woman) was discovered in 1938. 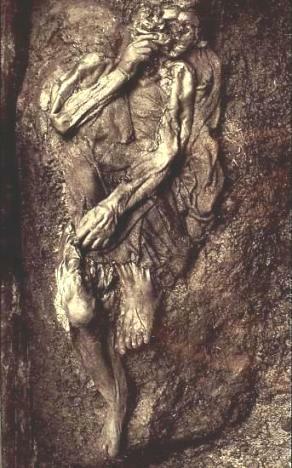 She had been hanged exactly like the Tollund Man and placed in the bog dressed in a cloak of sheepskin. 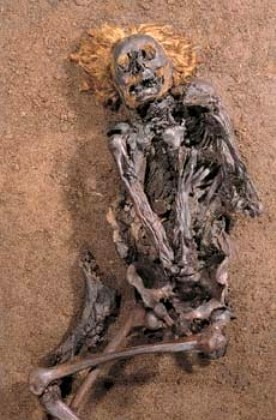 She had a blanket made of skin or a cloak made of cowhide wrapped around her hips and legs. Her hair was gathered in a pigtail which was one meter long and tied into a knot at the back of her neck. 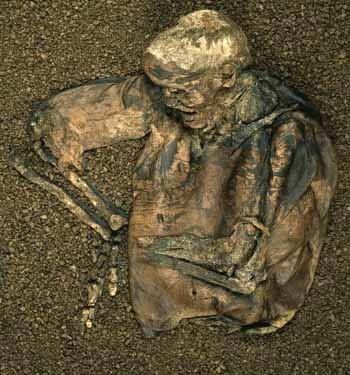 Just like the Tollund Man, Elling Woman has been dated by using the carbon-14 dating method. 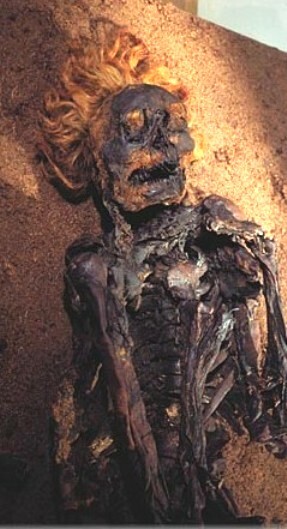 The results show that she died around 280 B.C. which is approximately the same time as the Tollund Man. The uncertainty connected with the carbon-14 makes us wonder if they may or may not have known each other. 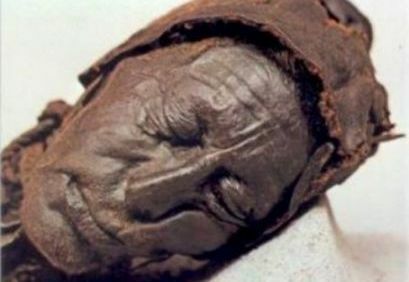 Other bog bodies have also undergone thorough examinations. 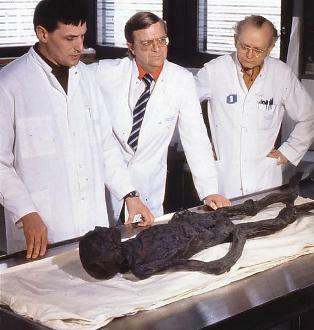 That includes Grauballe Man who was discovered a little north of Silkeborg, Queen Gunhild who was discovered close to Vejle, and three bog bodies which were discovered in Borremose in Himmerland. The Horror Zine wants to personally thank the amazing magazine, National Geographic.